This cute lotus necklace symbolizes purity and truth. The sacred flower continues in Buddhism for purity, beauty, inner growth and the connection with the universe. Nice to combine with the lotus earrings! These cute lotus earrings symbolize purity and truth. The sacred flower continues in Buddhism for purity, beauty, inner growth and the connection with the universe. 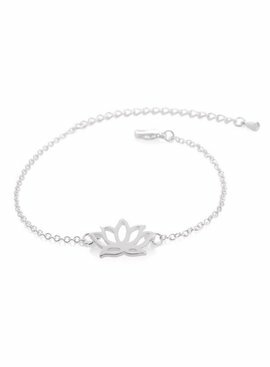 This cute minimalistic lotus bracelet symbolizes purity and truth. The sacred flower continues in Buddhism for purity, beauty, inner growth and the connection with the universe. Nice to combine with the lotus earrings and necklace!